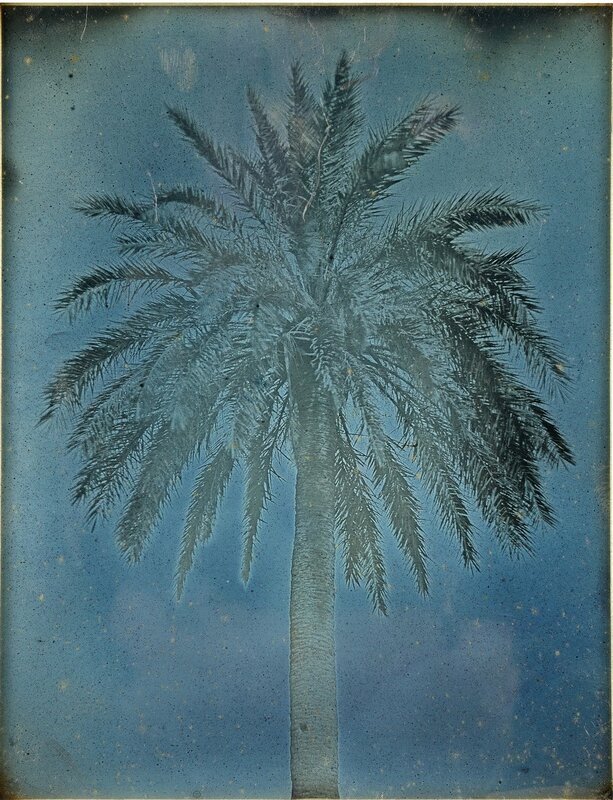 The starburst fronds at the crown of the palm tree seem to spring forward from the copper plate of 19th-century French photographer Joseph-Philibert Girault de Prangey’s most original and startling composition. 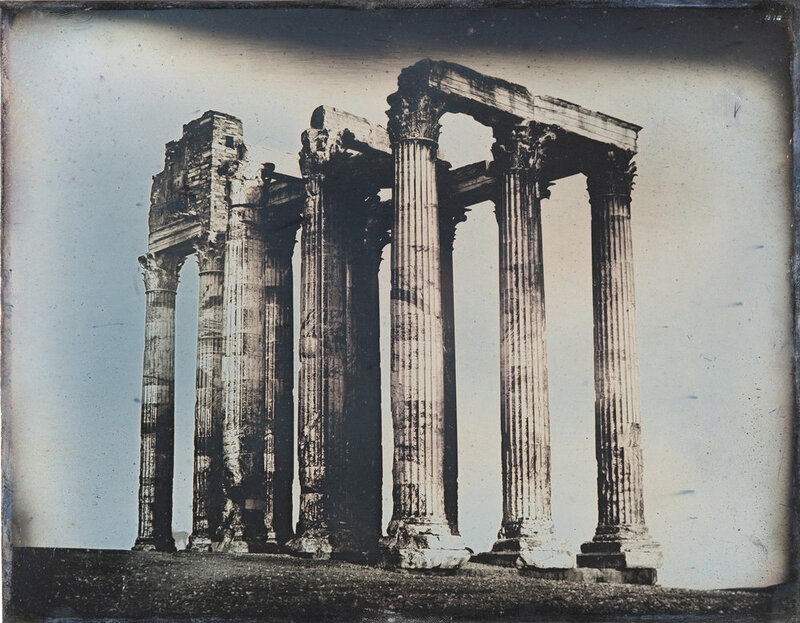 His daguerreotype, Palm Tree near the Church of Saints Theodore, Athens, is what he is most well known for but Girault will soon become famous for many more of his daguerreotypes through a new exhibit; Monumental Journey, at the Metropolitan Museum of Art. Girault used his camera to take what would be seen today as simple tourist photos. His trips away from home were always accompanied by a camera. He is seen as the man who took the first photographs of the Mediterranean still surviving today. 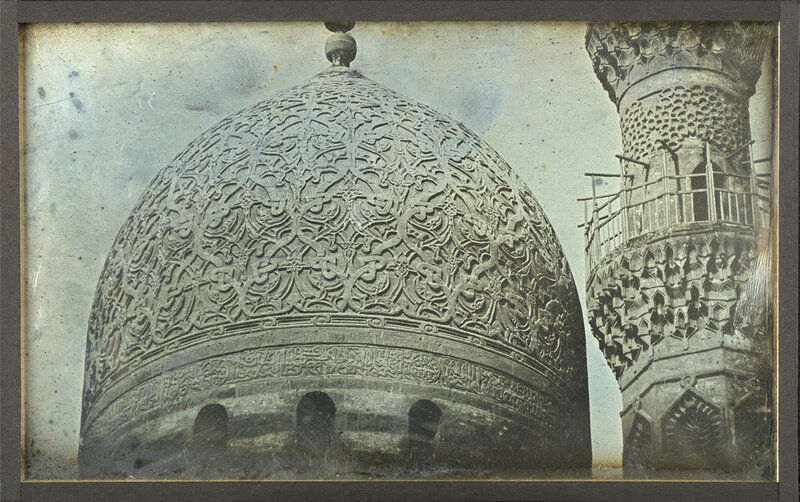 His daguerreotypes captured the realities of Egypt, Greece, Lebanon, Turkey, Jerusalem, and Italy in 1840. Each time he went abroad, he brought his camera, the Met uses the extensive archive to take us on a trip around the Eastern Mediterranean. Girault’s camera accompanied him on his first trip to Italy and it was at his side when he traveled to Athens, Damascus, and Cairo. Girault was able to take both the beauty and the reality of the world and capture it in one shot. Girault was one of the few photographers of the mid 19th-century able to capture large spaces and massive buildings. The mystery lies in how he was able to take such all-encompassing photographs. A modern-day photographer would need an 800-millimeter lens in order to take not only the width but the detail, Girault captures in many of his shots. But Girault saw his daguerreotypes as more than just the still shots of land, his eye for photographray made him willing to go the distance for his photographs. 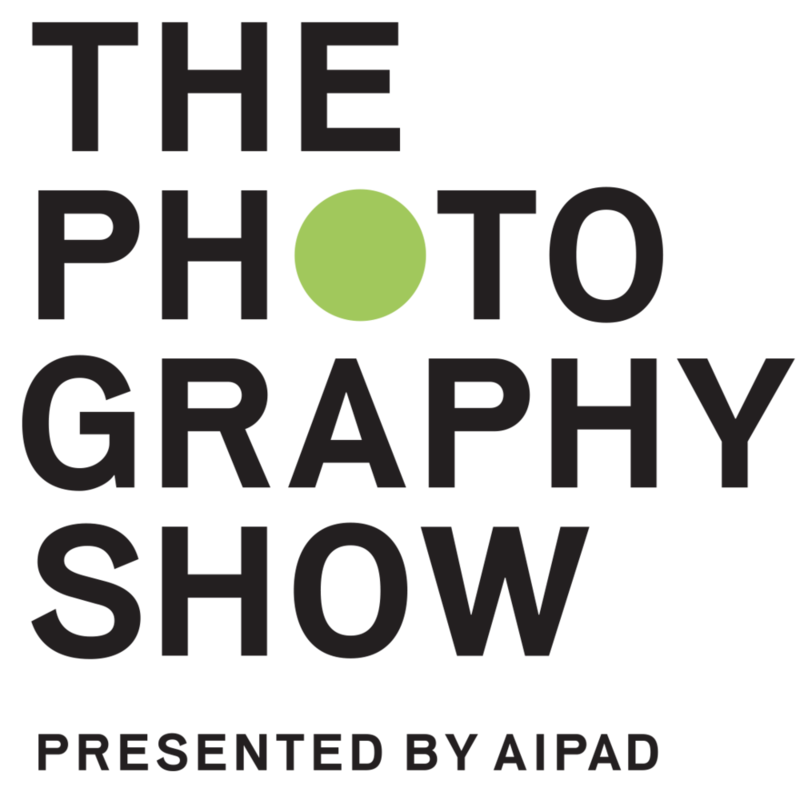 With the camera a new phenomenon, many artists did not see the daguerreotypes as a form of art. The silver-coated copper plates, topped with a mirror finish, were not seen as an artistic medium, but rather as a stencil for their art and were then, disregarded. On the cusp of the Realism movement, daguerreotypes were used as a still to show how an image should look when the artist finished painting it. 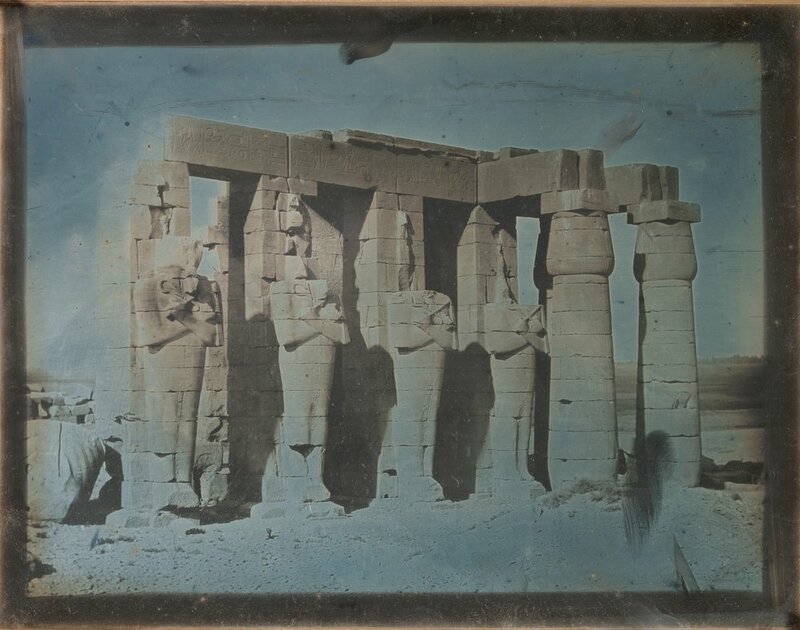 Girault sought a deeper connection with his daguerreotypes; the tourist in him saw the photographs as a part of his adventure. As he was not an established artist, Girault made many mistakes when photographing and developing, slowly he was able to replicate the mistakes, and was able to play with aspects of his images in his later daguerreotypes. He often used long exposures or put multiple exposures on a single plate, creating a double image, something unheard of by the art community. Because his art did not follow the movement at the time, he was forced to be entirely self funded. Though realistic, there is a noticeable blue cast that hangs over many of his images; this is from either overexposure, excess moisture, or under development. While most artists would have seen these daguerreotypes as useless, Girault leans into the color. Gilding many of his images, he would add a thin layer of gold to not only enhance but stabilize the image. Girault was able to see the beauty in simplicity as he captured things with his camera that no one else cared to see. He used the camera in a way no one else had before and kept his creative freedom alive in each shot. Girault takes a journey he did not realize would be monumental to the art community, and the Met lets us go on this journey with him.